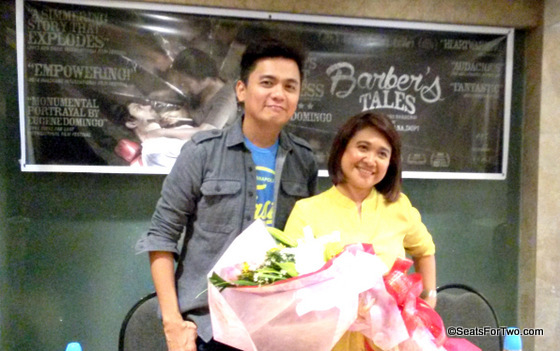 We frequently passed by at SM North EDSA do our grocery at the SM Hypermarket. We are thrilled every time there’s a new restaurant that we could try. Giulia by Casa Italia restaurant is the newest dining place brought to us by the same company who opens Casa Italia in 2015. 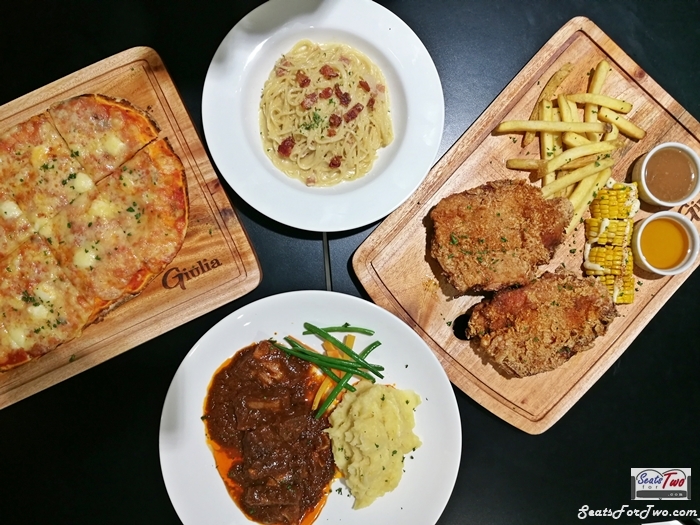 Standing in the same location where the renowned Casa left, Giulia is a full-service restaurant that offers variety of meals and snacks. From outside, you will notice its nice Italian interior design and warm ambiance. We can finish a tub of gelato in one sitting! Because “dessert comes first“, we started with Giulia’s famous gelato – pistachio and truffle chocolate. The friendly staff will offer board games to can play while waiting for the food to be served or enjoy over coffee. A bowl of hearty mushroom soup and Ceasar salad are perfect to start a good meal. We also had Gambas Al Ajillo and Loaded Fries for appetizer. For the mains, we had the Legend – a big chunk of fried, flavorful boneless chicken. Cooked to perfection with crispy skin and juicy meat. It’s served with chicken gravy, honey, corn and french fries. 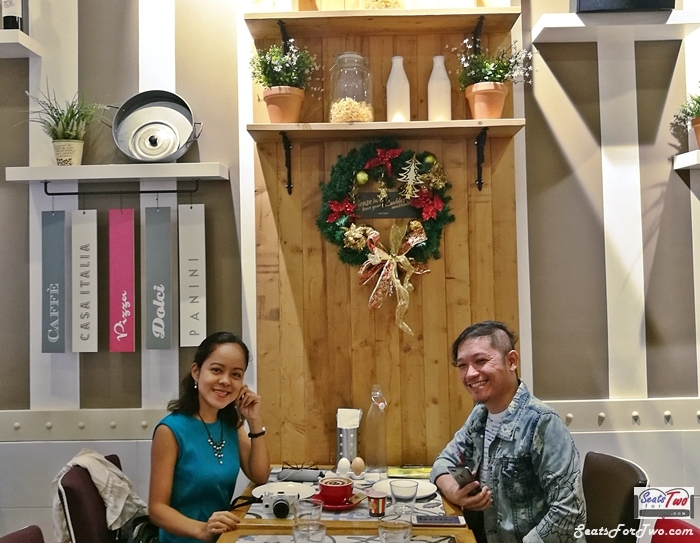 We ordered Giulia’s carbonara, creamy prawn, and beef lasagna on our most recent visit. Our favorite is the creamy prawn pasta. It goes well with thin crust Italian pizza. We had the four-cheese pizza. There are big plates such as the rib and chicken platter which is good for sharing. For those who love meaty dishes, you can also try Giulia’s Braised Lamb Shank, Italian Beef Stew and Crispy Pork Belly. 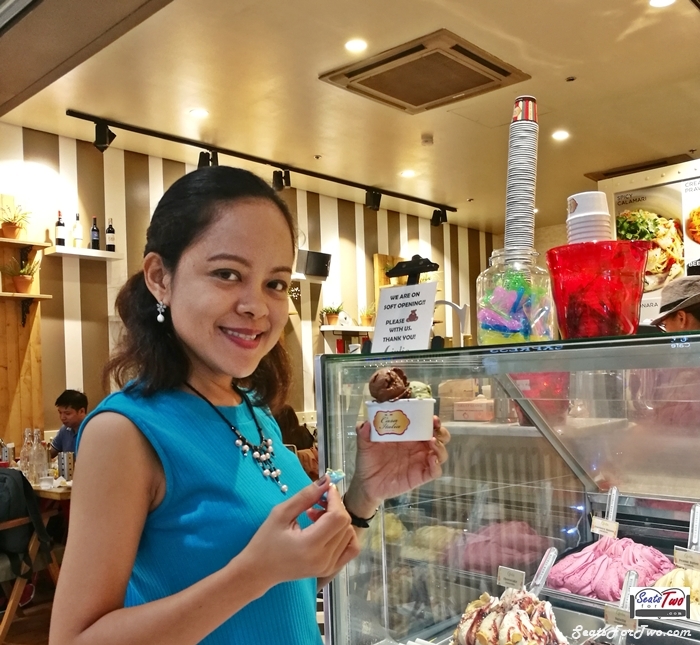 Premium Gelato at Php600 for 500grams. 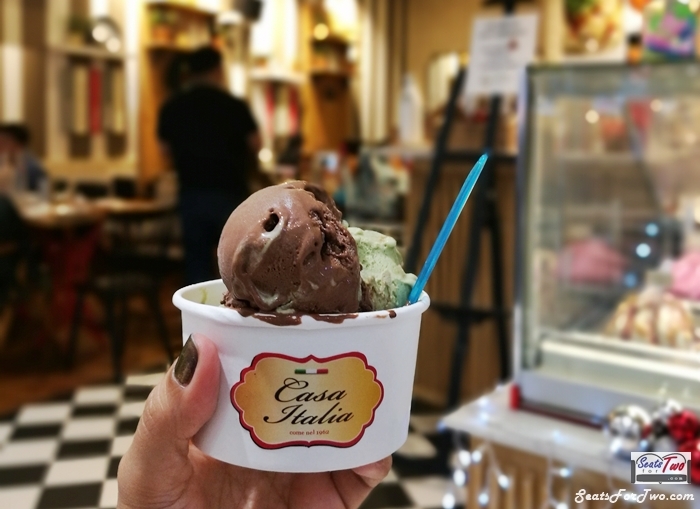 For sweet endings, choose from a variety of premium gelato which boasts of the most natural ingredients – like their best-selling flavors pistachio, dark truffle, mint and Bailey’s. Giulia is open during mall hours and is located at the G/F the Block, SM North EDSA. 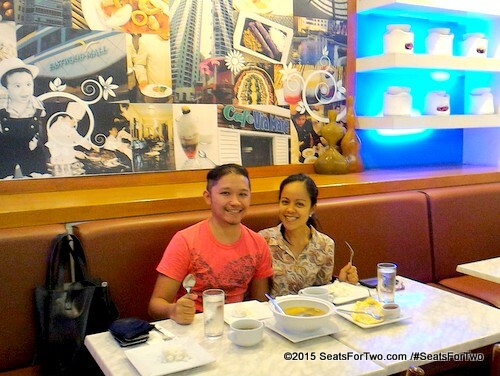 Follow our couple adventures through Seats For Two by subscribing to our blog through email and liking the Seats For Two Facebook Page. Follow our Twitter and Instagram accounts too. 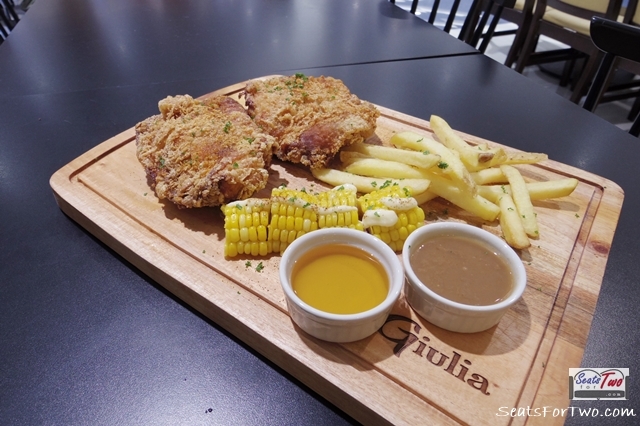 Giulia is a nice place for couple dates offering variety of dishes from breakfast to dinner. 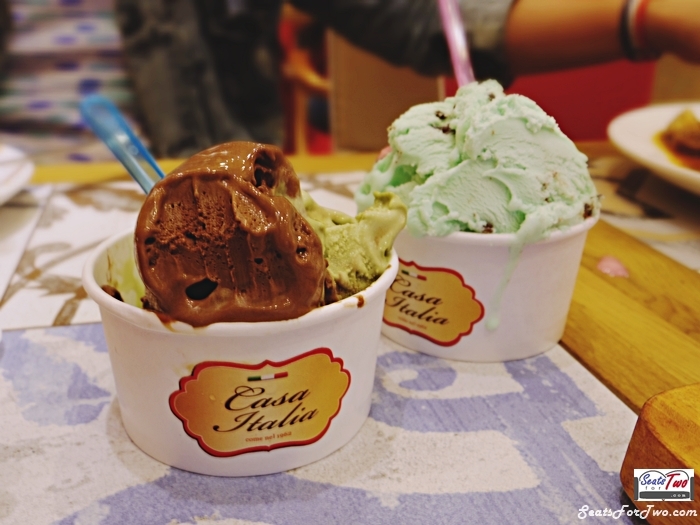 When you visit, make sure to end your meal with some scoops of premium gelato. Perhaps bring home tubs of gelato which we often do.